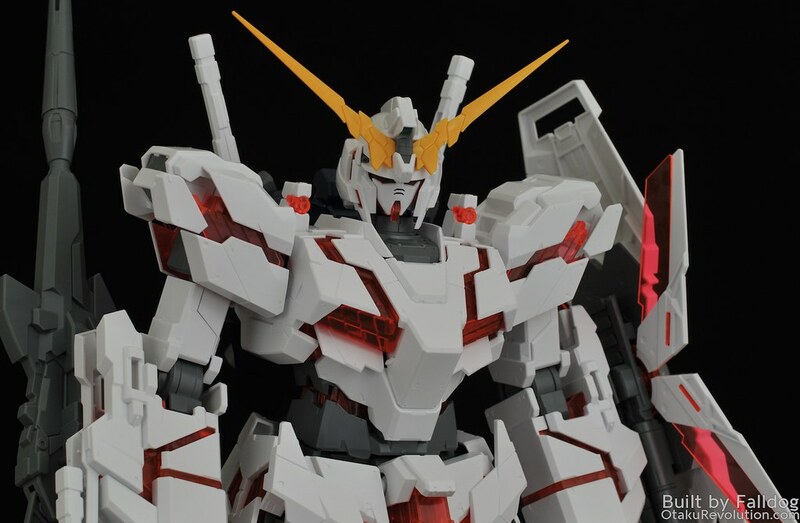 In addition, the Mega Size Unicorn comes with Bandai's most accessible user manual. Like the early Mega Size kits, the manual is full colour, but now comes with both Japanese and English directions! They even dialed down the whole "stick two runners together and now you have built pieces" steps. My only complaint is that the added information obfuscates those of us who breeze through the manuals. Namely, the whole "let's add leg/arm/body/etc icons to each of the runners" feature. 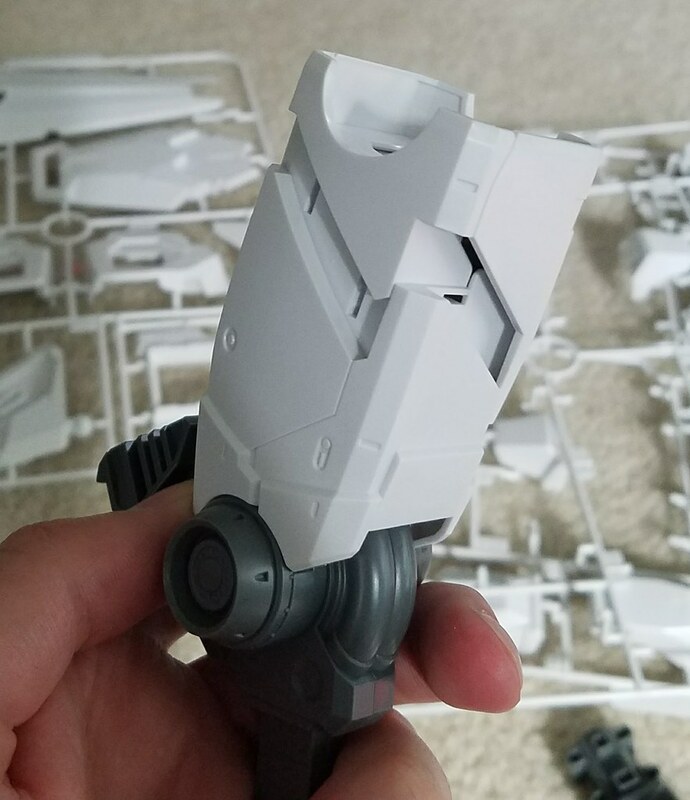 For those unfamiliar, Bandai printed little pictures of legs next to the pieces on the runners that are used on the legs. I'm not sure what value this has and in the manual it makes it slightly more difficult to read the part number since it takes space from the rest of the identifier. It's really not a big issue, I'm just being pedantic because I tend to keep the manual a bit further away during building than most. 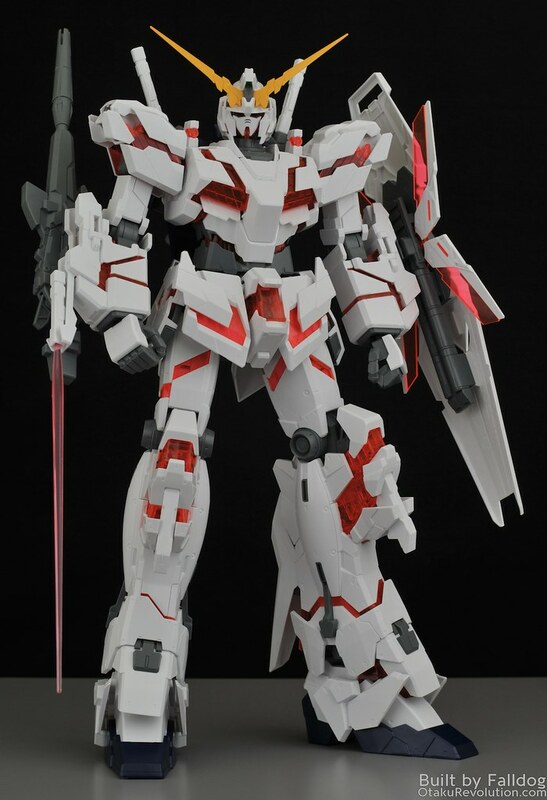 The kit is fairly posable, not much different that the MG (it was never really supposed to be a super flexible design). As far as play-ability goes, the joints tend to pop out and some of the seams like to split. 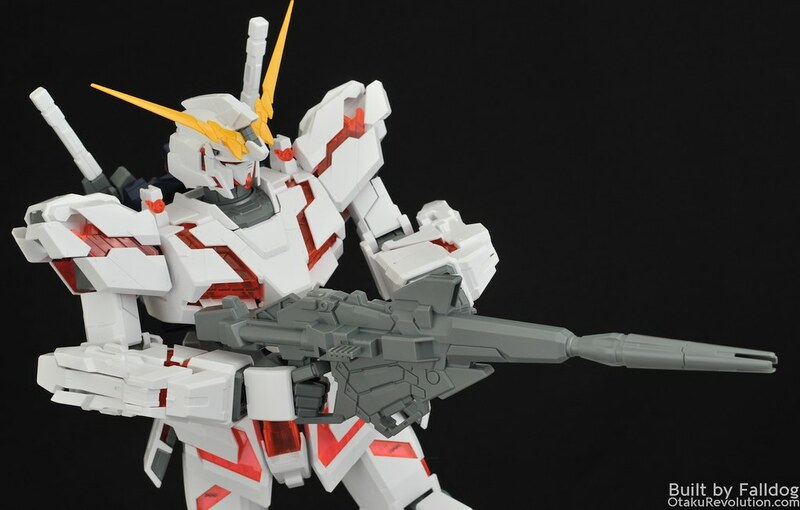 The gun is a good example of the lack of colour separation on Mega Size kits. Sure, they could've easily molded the magnum cartridges in a different colour, but they didn't. At least there's a clear green piece for the censor. 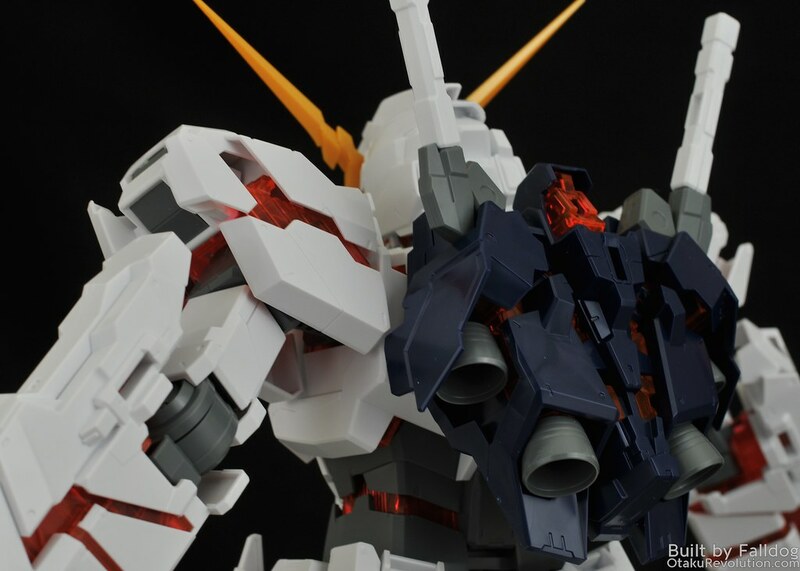 The backpack is a good example of the "why build two parts, when you can build one" as the round bits, separate on MGs and PGs, are built into the larger piece. 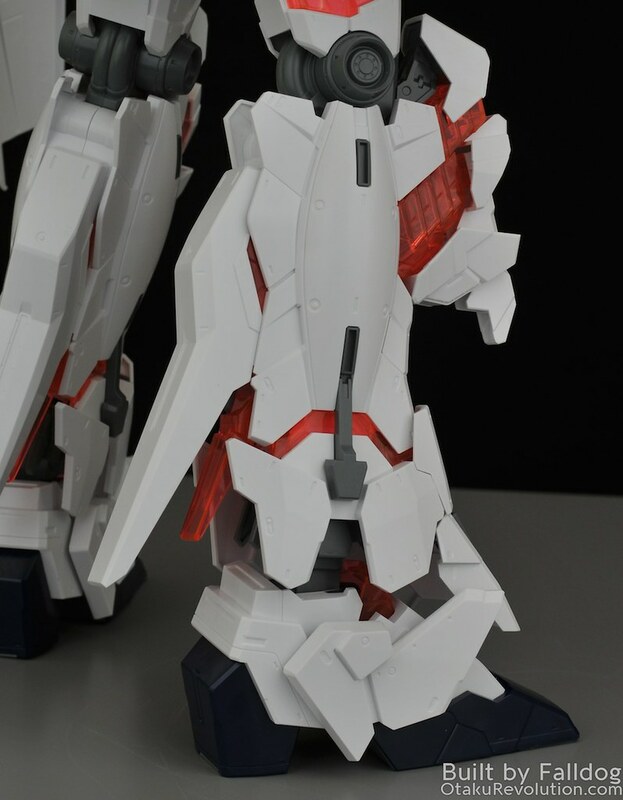 The thigh piece is two pieces, into which red pieces get inserted, instead of around larger red pieces. There are only two hand options, a closed fist and a trigger pulling hand. 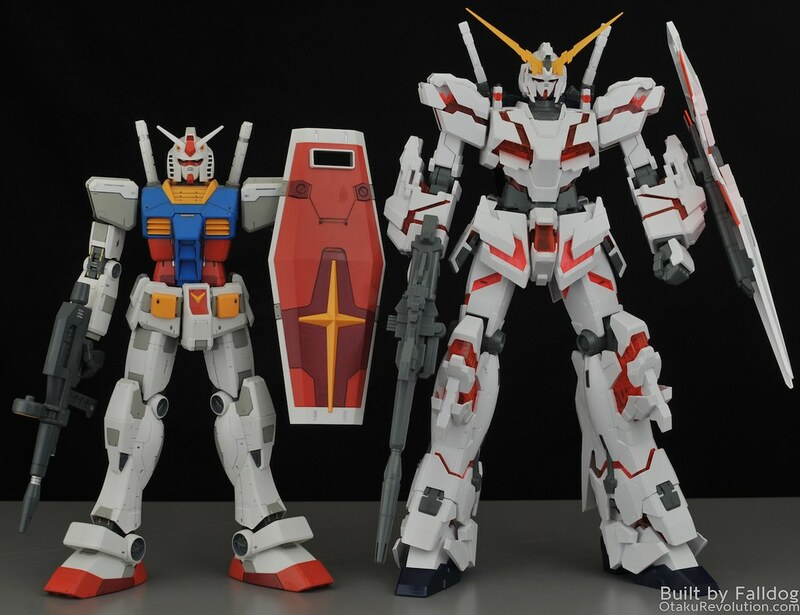 Neither of which look good holding a beam saber. 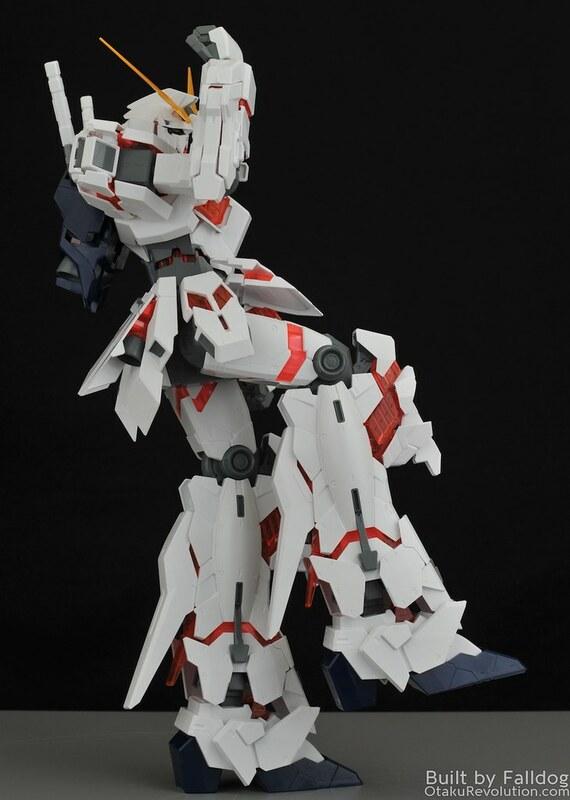 Of course, this kit is big. Over 18 inches tall. Seen above alongside the PG and MG kits (still need to build the RG). 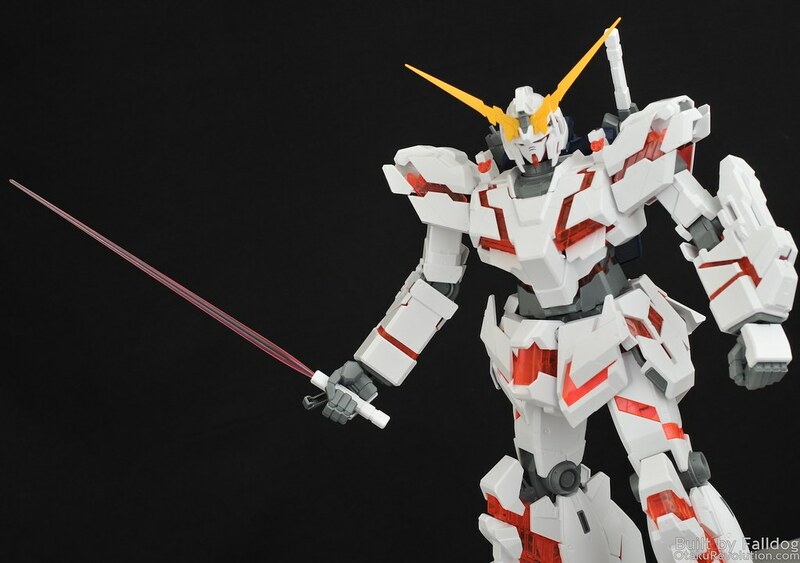 And, as the Unicorn is a larger mobile suit than the RX-78-2, so is the model. 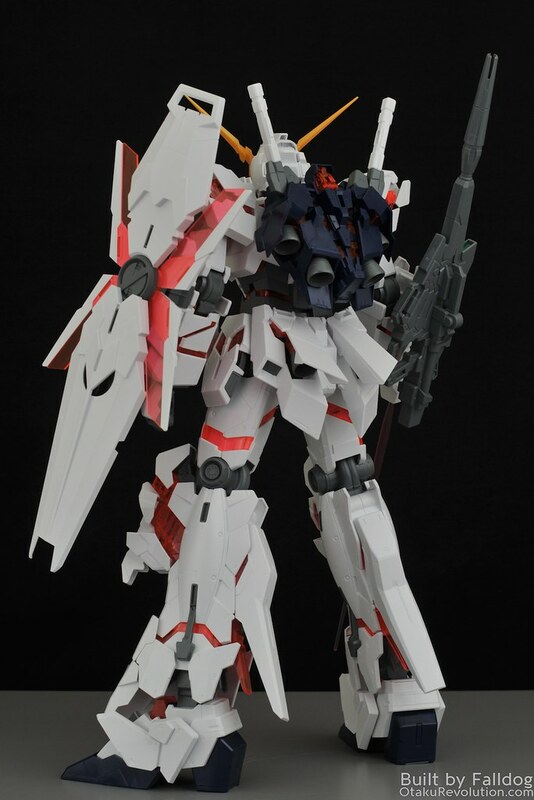 So why is this kit meh? Well having built many Unicorns part of the problem is that it can be a pretty boring design. White and red. A few bits of blue here and here. 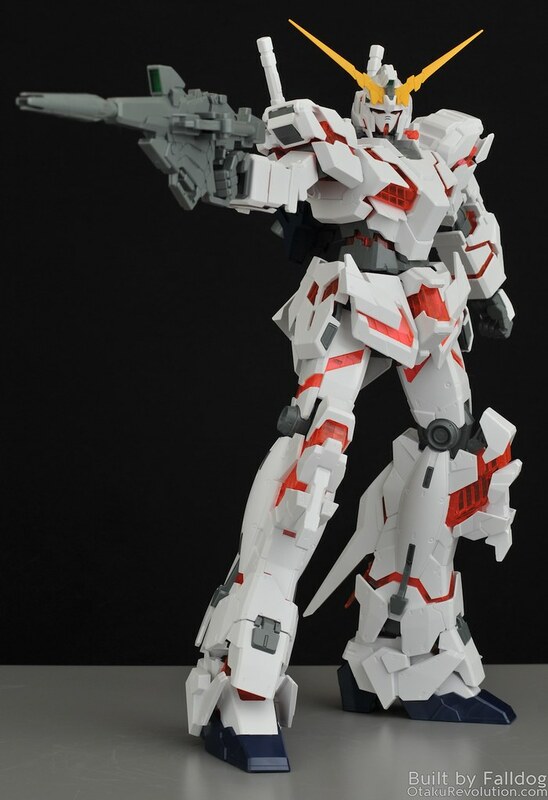 On some a such a simplistic and large kit, that translates to large areas of red and white. There's plenty of detail on the piece to help transform it, but out of the box it's rather plain looking (and to be fair, so are the other Mega Size kits). A bit of line work and this kit should really pop. 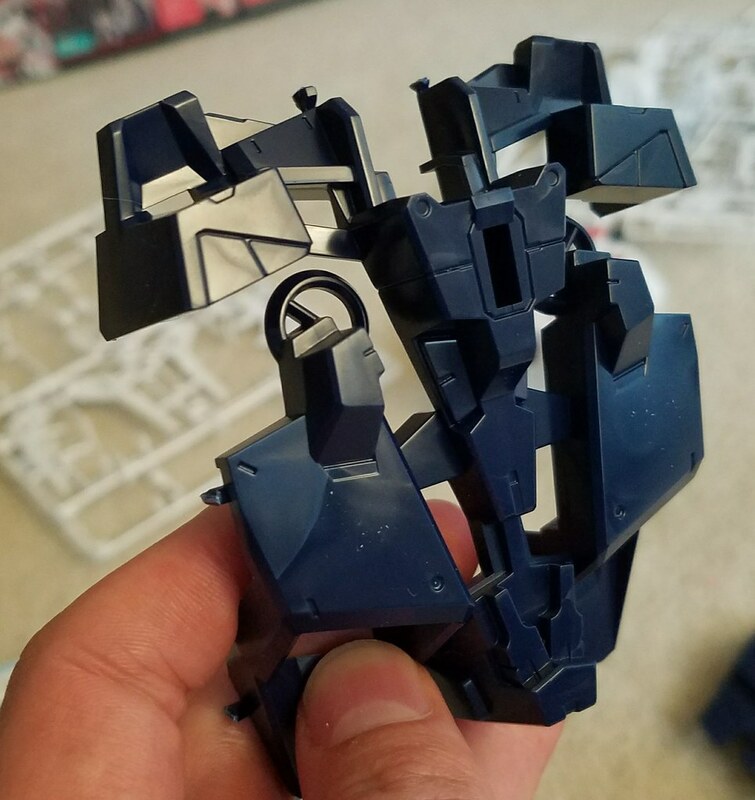 The largest problem with the kit is what's behind all of the clear red pieces. 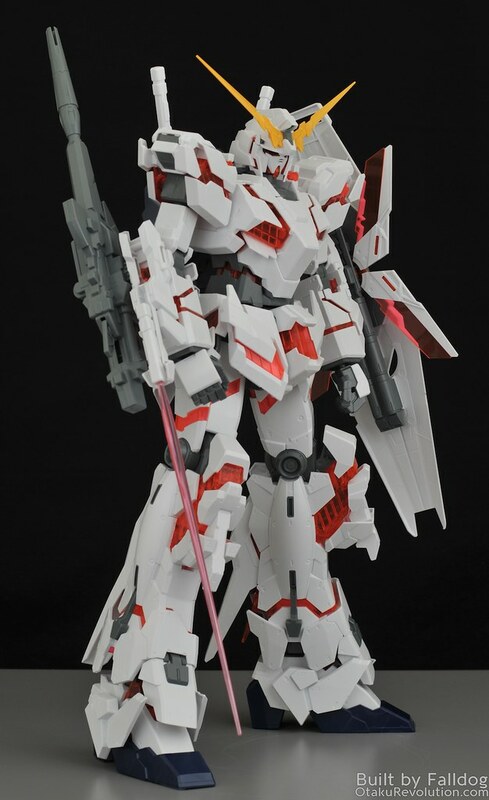 Smaller kits have a frame behind the red psychoframe parts so you get a consistent appearance throughout the kit. On the Mega Size you either have white right behind, or empty air. This results in varying looks through the kit, and to be honest, areas where the white backs the red look cheap in comparison. This is nothing that can't be fixed with a bit of clever painting though. 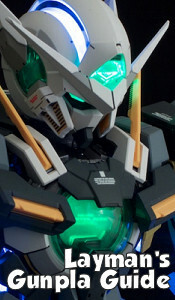 Speaking of detailing the kit, while there's plenty of details carved into the armor, it's basically a large blank slate for all kids of detailing you could think of adding. A lot of opportunities for a good scribe. Plus all of the wide open space inside, and large pieces, means custom LEDs should be super easy to wire up. 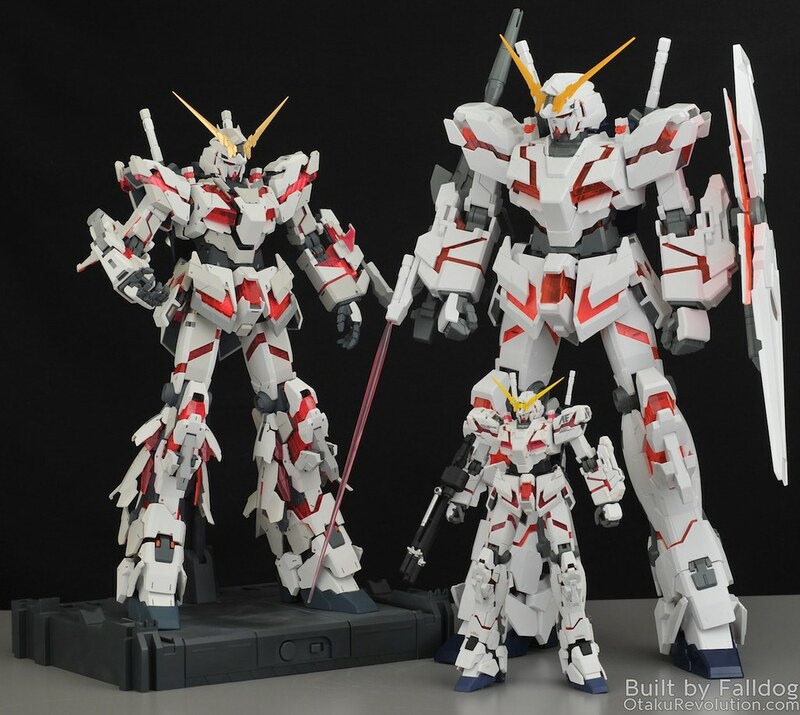 That said, if you like big kits, and you like the Unicorn, there's no reason to pass on the Mega Size Unicorn. 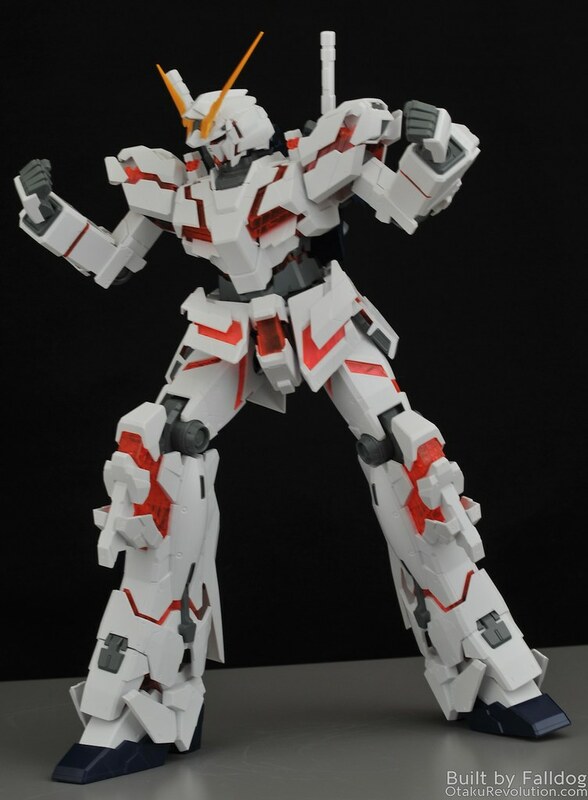 It's way cheaper than the PG Unicorn, way easier to build (took me roughly 6 hours), and is just as much a statement piece.